C&M Chocolatier epitomizes everything I love about New York from the success story to the diversity of flavor. Founder Chris Martorano started cleaning floors in a chocolate factory at the age of fourteen, nowadays he makes his own handmade chocolate. Each flavor is a brilliant nod to New York's East Village neighborhood and its wide variety of foods and flavors. I can't quite decide which is my favorite. I savored them all very slowly. The Peanut Butter Pretzel is amazing, a gianduja truffle rolled in crushed, salted pretzels YUM! The Black Sesame Tahini which features a sesame tahini filling flavored with honey and black sesame seeds was a fantastic taste experience. 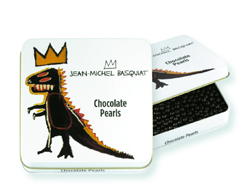 The Truffle truffle is a foodie's paradise featuring 70% dark chocolate ganache infused with white truffle oil. Put simply, this chocolate rocks! As Martorano is the new kid on the block, you can say you were one of the first in the know. I think he's about to blow way up! 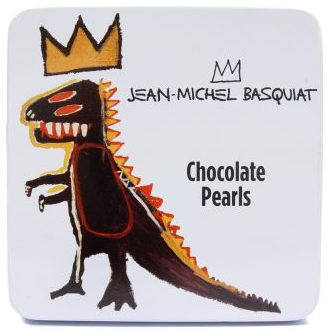 There's nothing like art royalty featured on packaging to make me want want want it! Ligne Blanche offers these brilliant little tins of chocolate pearls featuring the art of Andy Warhol, Keith Herring and the awesome Jean-Michel Basquiat. What a great item to place next to your stack of art+design books. There may be times when you find yourself weighing your options: the chocolate cake? or that killer dress? The answer isn't always so simple especially for a chocolate lover. 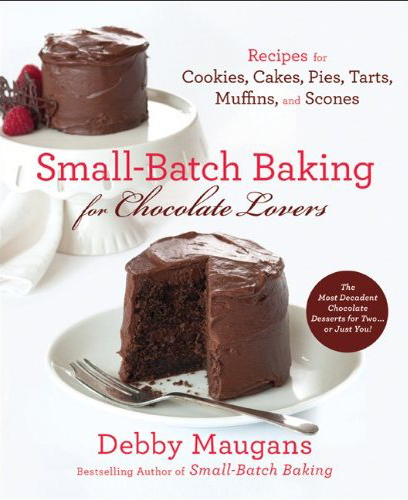 Author Debby Maugans has our backs! Her sample sized desserts are just enough to indulge without creating the bulge and most recipes call for just a tiny bit of ingredients like one egg, so they're easy to whip up in a pinch. I loved her first book, I thought that baking out of tin cans was a brilliant way to recycle while creating adorable little portion aware cakes. Needless to say, I was over zealous when I learned of the chocolate lovers release! Pick up a copy and shred those spanks! 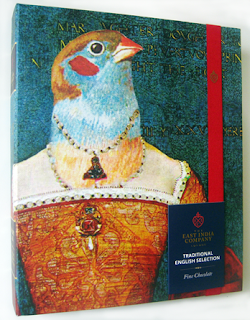 In 1600, in the spirit of expansion, Queen Elizabeth I granted a Royal Charter to The East India Company. The company was sent East to explore. They returned with magical flavors that would change the West's palate forever. I feel like the Queen herself seated in front of a box of chocolate treasure packaged so artfully that it resembles an old tome that could belong to The Royal Collection itself. The confections inside feature flavors such as Creme Rose, Hazel Praline and Cafe Latte and reflect a heritage of quality and tradition along with a new found sense of adventure. My favorite among the truffles happens to be the Mimosa: cream, marc de champagne and orange essence. The taste is so right on it should be served in a flute! 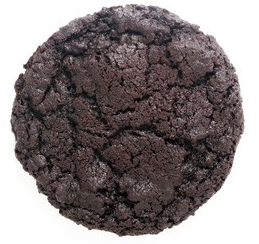 so I've been totally obsessed with cookies as of late specifically Momofuku Milkbar's chocolate- chocolate variety. 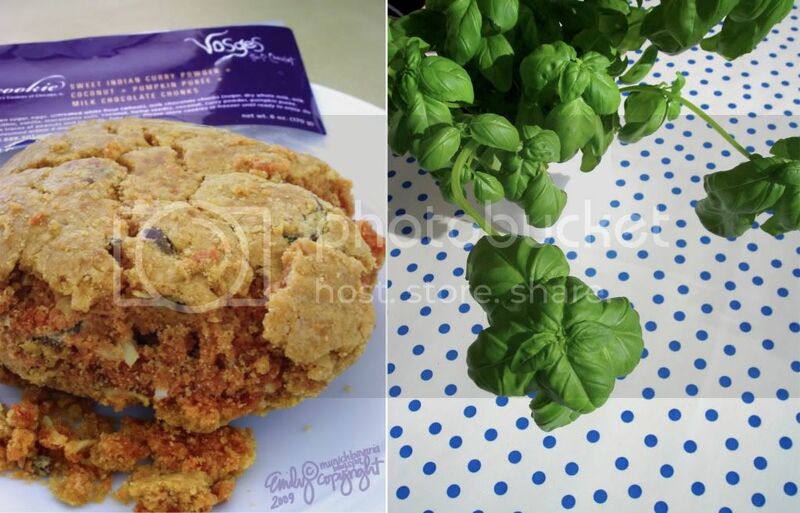 Also Vosges' Naga cookie is brilliant. Fans of the Vosges Naga chocolate bar know that the sublime combination between chocolate, coconut and curry is a winner. The soft, chocolate chip, coconut, curry cookie's base is cake-like pumpkin which really carries the spice well. The cookies are only available in store for now and the sales staff exhorts you to eat them asap. Not a problem! I don't have an image, mostly because I forget to take one, wrapped up in the moment I suppose. Here's an image via Munichbavaria.